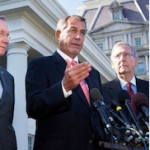 From Mediaite: What does it mean that Congress has only passed about 2% of submitted bills? Reports Mediaite, “Just when you thought Congress’ historically-poor approval rating couldn’t go any worse.Having passed only fifty-five laws—in other words, about one per week, representing only 2% of the submitted bills—the 2013 Congress is set to go down as one of the least productive in the institution’s history. By contrast, the past seven Congresses averaged 321 non-ceremonial laws per session. Only five days remain before the two chambers adjourn for the holidays, meaning Congress is unlikely to pass enough bills to clear even low thresholds of legislative performance.” Read the full story here. From Gossip Cop: There is a new Wonder Woman in town! The iconic role in the Man of Steel sequel has been announced. Reports Gossip Cop, “Gal Gadot will take on the iconic role in the Man of Steel sequel, Batman vs. Superman. The actress, best known for appearing in the Fast & Furious franchise, will star alongside Ben Affleck and Henry Cavill. Director Zack Snyder says, “Wonder Woman is arguably one of the most powerful female characters of all time and a fan favorite in the DC Universe. Not only is Gal an amazing actress, but she also has that magical quality that makes her perfect for the role.” ” Read more about the film and the newest Wonder Woman here. 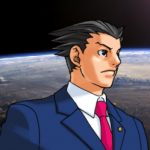 From Geekosystem: Who knew you could be a “space lawyer”? Space law is a fascinating profession that not many know very much about. Geekosystem reports on the interesting career. Writes Geekosystem, ” “Space Lawyer” sounds a profession that’s too awesome to exist, but it’s not — you really can practice space law. To learn more about the subject, we spoke to two legal experts from the University of Nebraska College of Law Space, Cyber, and Telecommunications Law Program, as well as a legal news reporter for Massachusetts Lawyers Weekly. When we first heard about the subject of space law via this BBC News screenshot, our brains naturally gravitated towards the absurd and surreal. In actuality, space law is an incredibly complicated and fascinating realm of study that’s becoming more and more relevant as our technology continues to improve and we get farther out into the galaxy. And before you ask, no — there’s no space court or space jail. Yeah, we were a little disappointed, too. But it’s okay! Getting to ask a bunch of space lawyers about what action they would take against Grand Moff Tarkin more than makes up for that.” Read the interviews and more about the cool profession here. From Styleite: Actress Amy Adams is on the January 2014 cover for Vanity Fair and the red-haired starlet is dishing on everything from a pregnancy rumor to her new movie American Hustle and the magic of a tan. Reports Styleite, ” “I’m not pregnant,” Amy Adams tells Vanity Fair contributor Nell Scovell in the January issue cover story, clarifying the details of her 11-year relationship withfiancé Darren Le Gallo and adding “I’m not getting married anytime soon.” The two have a three-and-a-half-year-old daughter. Of Le Gallo the Academy Award-nominated actress says, “I know he’s completely capable and lovely, and beautiful, and offers something I could never hope to offer just in the nature of his being.” For American Hustle, David O. Russell’s upcoming film on 70s-era New Jersey mafia, Adams tells Scovell she cultivated a “hungry and tan” look, losing weight to attain a svelteness that she shows off while dancing in a white swimsuit. “Yeah, that’s terrifying. It’s amazing what a tan can do…” ” Read more about Amy Adams and the interview here. From SportsGrid: Baseball star Barry Bonds is selling his Beverly Hills mansion for a reported $25 million dollars. How is it doing on the market? Reports SportsGrid, “We’re going to assume the $25 million asking price is the reason nobody bit on Barry Bonds’ sprawling mansion in Beverly Hills for the past 11 months. It’s not like the next owner will also see his balls shrink to hilariously small proportions, right? I kid the former MLB great. In any case, Bonds lowered the price of his home — which he bought for $8.7 million back in 2002 — by $1.5 million. No sign yet of whether this will entice prospective buyers, since we just saw Michael Jordan’s home go up for auction after a series of massive price cuts as well. But, all things considered, this is a pretty sweet pad.” For more details on his pad and photos of it, click here. 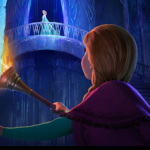 From The Mary Sue: The Mary Sue reports on Disney’s newest animated movie, Frozen, being the best surprise of 2013. Reports The Mary Sue, “I was skeptical about Frozen. I think most people were. Disney didn’t market it much at all, which made me suspicious of secret suckitude. That weird quote about animating women didn’t help, nor did controversy over the visual similarity between Anna and Tangled‘s Rapunzel. Then, a few weeks ago, something weird happened. I started seeing reviews about how greatFrozen is. Not “better than you think it is” or “pretty good, considering.” Just great. And then Thanksgiving weekend hit. You know the film’s going to make bank, because it’s a kid’s movie on a holiday weekend. But it smashed Disney Animation’s opening weekend record, and the comments on that post were filled with you, our readers, saying how wonderful it is.” Read the full article and more about Frozen here. From The Jane Dough: Paul Rudd hosts SNL this week and there is already a hilarious promo about his reaction to musical guest, One Direction. Reports The Jane Dough, “Human Pandora Bracelet and Cher’s stepbrother/ boyfriend Paul Rudd is hosting SNL for the third time this week and who better to join him in another round of promos than effervescent comedy fairy Vanessa Bayer? Watch as the human equivalent of a Labrador puppy pulling a wagon full of kittens wearing daisy chains and Bayer find out that this week’s musical guest is British dreamboats One Direction (clearly Paul is a Zayn kind of girl), teach us about movie magic, and share their mnemonics.” Watch the promo here. From The Braiser: Celebrity Chef, Nigella Lawson, testified in court today, where she addressed drug abuse claims and admitted to using marijuana and cocaine on a few occasions. Reports The Braiser, “The judge has ordered a short break in the proceedings after Nigella Lawson admitted to recently smoking marijuana in front of her children “Ms Lawson has also admitted smoking cannabis, starting “relatively recently” but said she has now given up. The defence lawyer asked whether she had ever smoked the drug in front of her children and she said, “Yes, I’m afraid I did,” according to Sky News. The judge interrupted her answer and has now ordered a short break in proceedings.” While her admitted drug use seems relatively minor for US readers, the penalties for possession of cocaine and cannabis are harsher in the United Kingdom: Cocaine possession is a Class A offense and punishable by up to 7 years’ imprisonment, while cannabis possession, though a Class B offense, could land her in prison for up to 5 years.” Read more about this ongoing trial here.